More crepe paper goodness today... 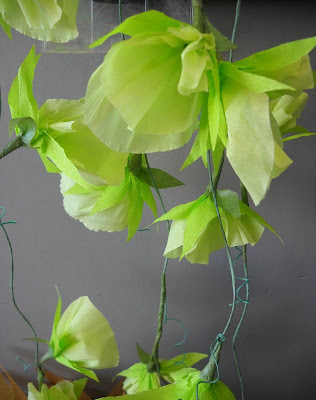 I came across these eye-catching sweet peas on Teabytes, a Seattle paper crafter's blog. Such a bright, fresh color and the tendrils spiral just like the real thing. Tough as iron, those true sweet pea tendrils! Fragrant sweet peas love cool sun (which always sounds like an oxymoron to me), thus they have a limited growing season here in the mid-Atlantic states. Our weather steams up fast once they start blooming in late spring, but now there's no reason not to have some on display all year long! Very beautiful Ann! Thanks for the link to the tutorials. Diana, thanks a lot for the link. I've added it to the post with the others. aw very sweet! i just let her know :) thanks for sharing, ann! I love sweet peas! And paper flowers. I'll definitely make these with my daughter. Thanks for the tutorial link. Thank you so much for sharing this lovely work. 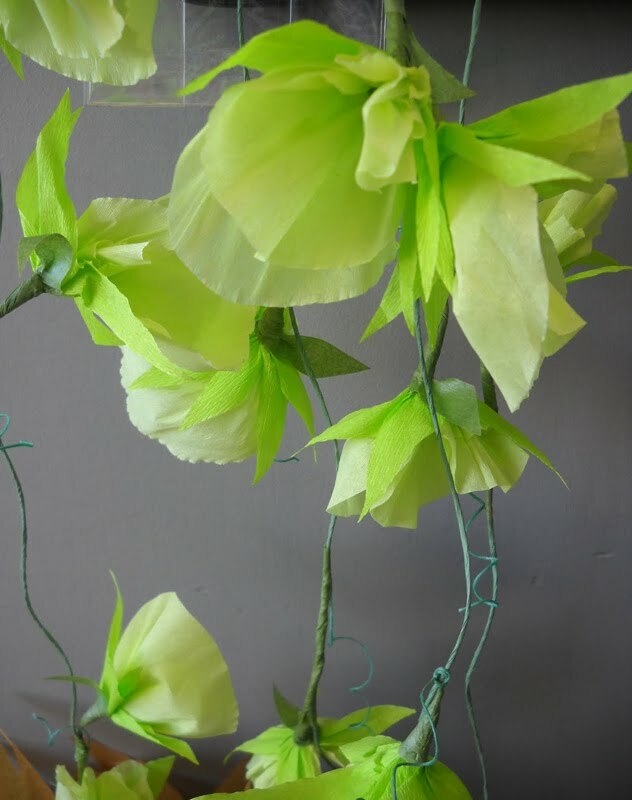 It brings back memories of MOM and the many crepe paper flowers we made so years ago with her guidance. Very nice, you are very talented. Thanks a lot for links, i will follow the tutorials. Keep up the good work.